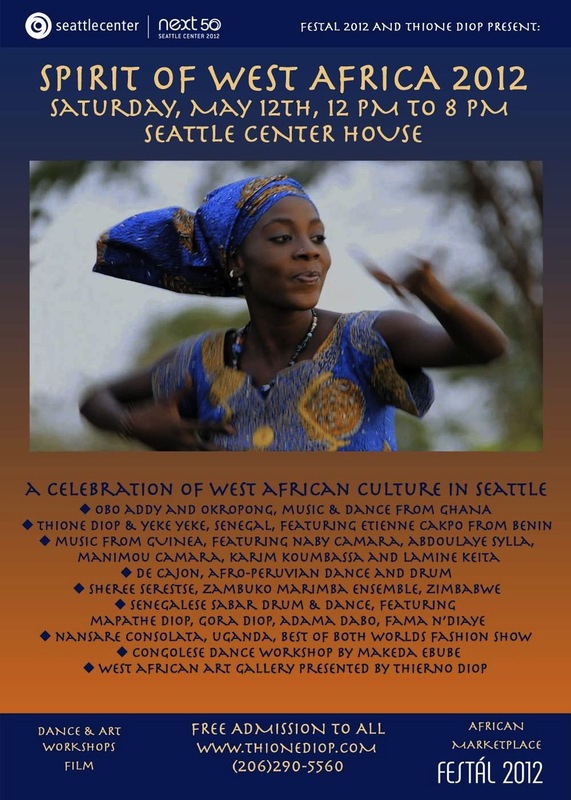 During intermission- Yeke Yeke will also perform traditional West African rhythms and song. Enjoy the happy hour, good food, great music and dancing. Bring a few friends and come on by to the Triple Door and have fun! The show is free. Peace and bless!!! 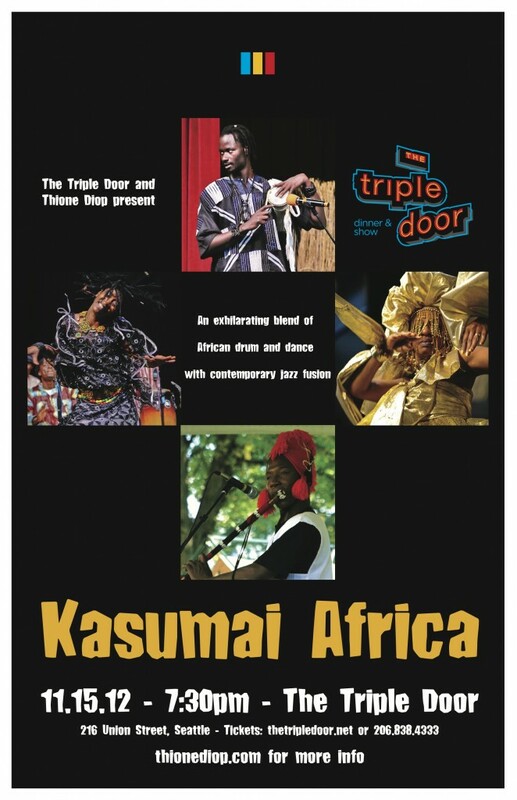 Kasumai Africa is coming to The Triple Door Main stage on November 15th at 7:30pm with some exciting West African music and dance. 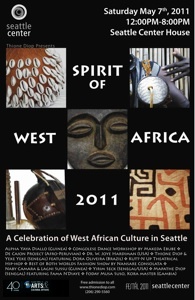 This year Thione Diop brings a collaboration of traditional African and American jazz performers. 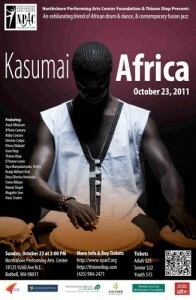 The first set will be traditional African music and dance. The second set is experimental Afro-jazz fusion. Foday Musa Suso, 21 string kora, Gambia; Mamady Mansary, West African flute, Guinea; special guest artist, Lee Oskar, harmonica; Andy Coe, guitar; Brady Milliard-Kish, bass guitar. Thione, Gora, and Mapathe Diop, percussion, Senegal; Teo Shantz, percussion; Aaron Walker-Loud, drum set. Naomi Siegel, trombone; Tobi Stone, saxophone; Chad McCullough, trumpet. Eckaman Ndongo, Wawaly Bonane, Congo; Shanetta Brown, Chava Mirel, Assane and Ousseynou Kouyate, Senegal. Assane and Ousseynou Kouyate, Senegal; Dora Oliveira, Brazil; Sumaya Diop.